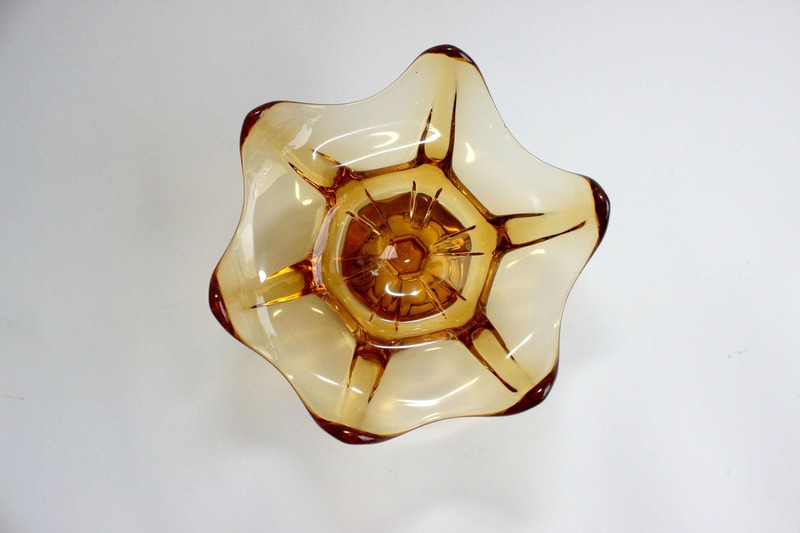 Beautiful Mid Century Modern amber glass fruit bowl. 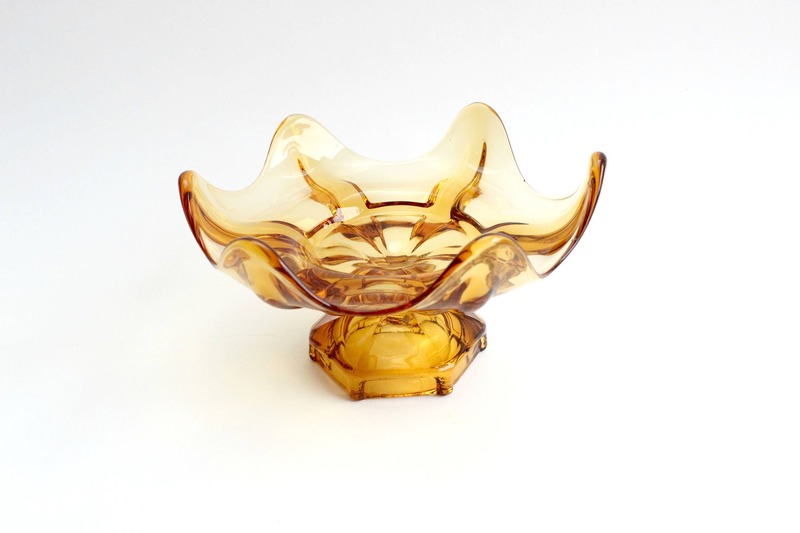 Unique pedestal style bowl with a six sided base and deeply scalloped edges. 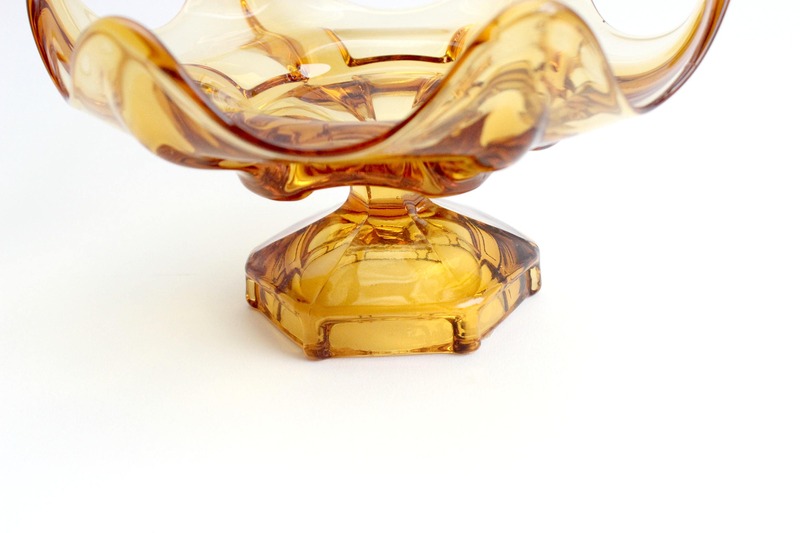 Makes a beautiful centerpiece and looks great on a display shelf! 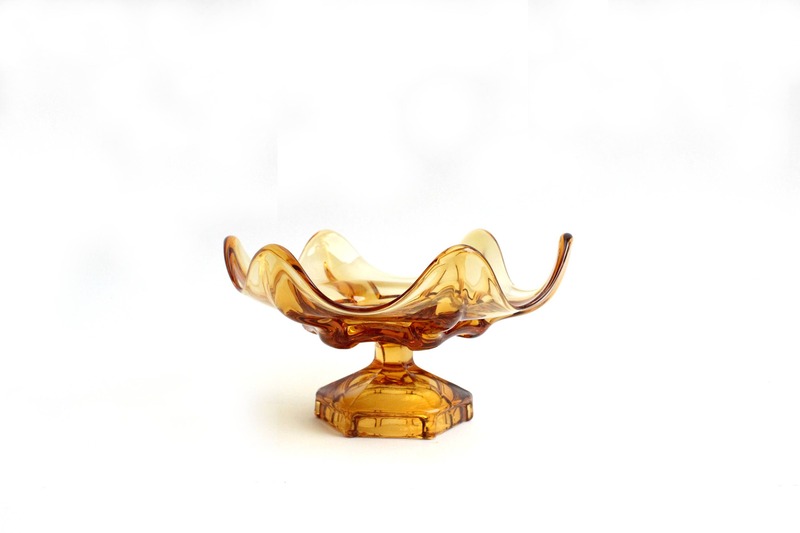 Measures 8.5 inches wide and 4.75 inches tall.